The annual motorcycle fundraiser program is extremely important to the National Motorcycle Museum. But while it serves as the Museum’s largest single source of income, it also brightens the life of the lucky person who, this year won a 2015 Indian Chieftain. Bill and Harry talked for just a bit. 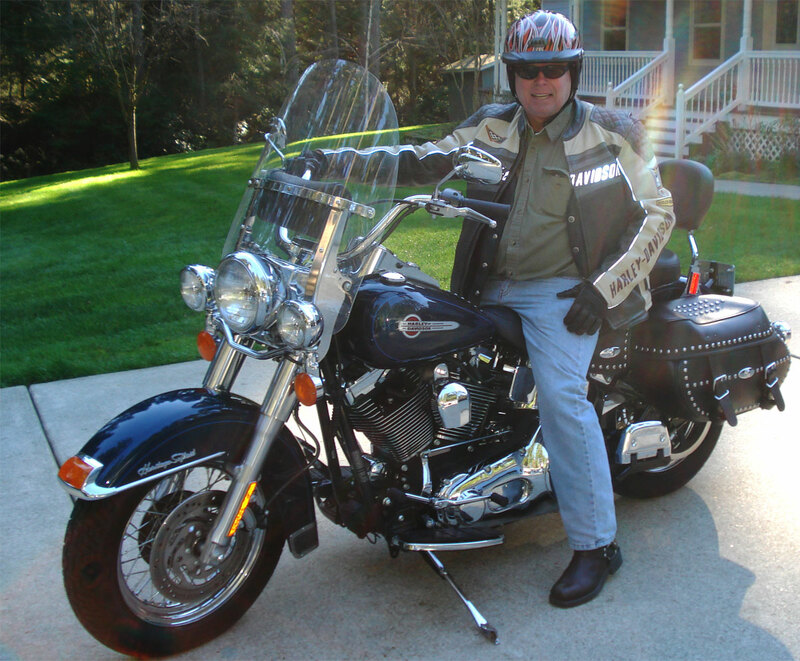 Harry works for the City of Bainbridge Island, and has a couple of Harleys, a 1200 Sportster and a Heritage Soft Tail. He donated for 12 chances to win, made a $50 donation to the Museum, but has not yet had a chance to visit. “I have been thinking about a long distance touring bike for awhile, so this is great with the hard bags and fairing and all. I guess I could fly out this month and ride it home to Washington, but the weather in the Rockies may make that a tough ride!” So we have connected Harry with Federal Motorcycle Transport and the bike will get shipped to Lynnwood Motoplex Victory Indian for setup and delivery. The weather in coastal Washington makes riding pretty much a year around thing, so Harry will be out on his new bike soon. 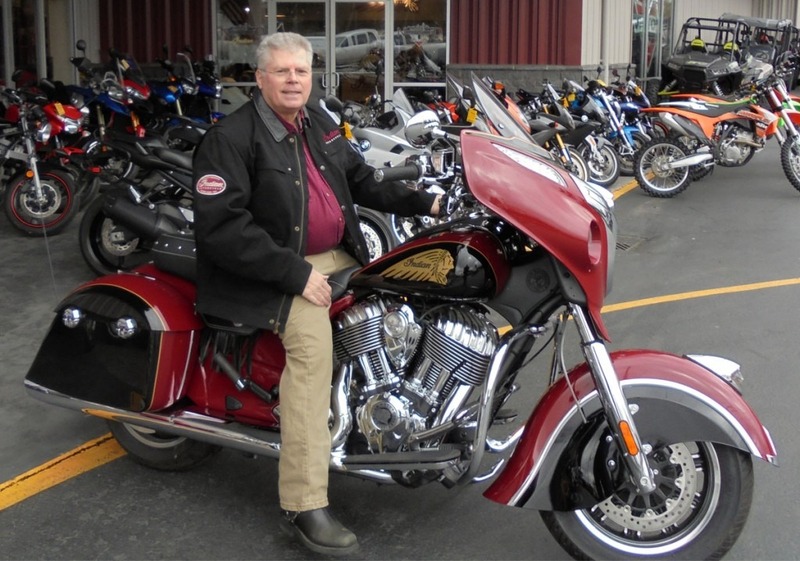 We thank all of you who donated for chances to win the 2015 Indian Chieftain. The 2016 fundraiser bike is up on the Museum website. We thank Indian Motorcycle for sponsoring with a 2016 Indian Chief Vintage, pictured here. It’s not too early to donate for your chances to win. It all worked out well for Harry Belieu!